Description : These unique wooden vases are an ideal gift for some one very close to you. Made of iron, they are simple yet elegant. 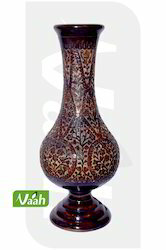 We are offering high grade Wooden Vase to cater diverse demands of the customers. We are offering these products to at reasonable prices. Our professionals manufacture these products with the help of most advance technology and high grade material. Our products are beautifully designed by our craftsman. Being a well-renowned entity, we are engaged in providing a distinguished range of Wooden Flower Vase. Among our wide range of products, we are offering a wide range of Wooden Flower Pot. We are the well firm, offering a superior quality gamut of Wooden Vase. Our experts also modify these products as per the artistic tastes of our clients. 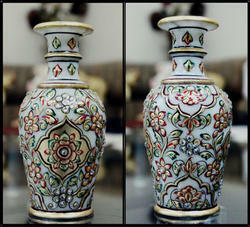 Backed by rich industry experiences; we are highly engaged in offering a premium quality range of Flower Wooden Vase. Owing to the efforts of our dedicated team of professionals, we have been constantly engaged in offering the best quality Wooden Trumpet Vase.